As the peak season begins, patient census at hospitals Islandwide is up as the infection spreads across New York, health officials say. Beds at hospitals Islandwide are filling up because influenza has risen sharply in recent weeks as peak flu season begins its annual three-month romp. State health officials have declared the infection widespread in virtually all counties — including Nassau and Suffolk — as flu trackers continue to document the course of what so far is described as an unpredictable season. On Long Island and beyond, the annual menace is on the move, spread in droplets launched through coughing, sneezing and even conversations held at close range. Wadsworth Center, the state health department’s laboratory, reports a 37 percent jump in laboratory-confirmed cases of the flu in recent weeks. During the week that ended Dec. 31, there were 2,887 laboratory-confirmed cases. By end of the first week in January, the most recent data available, there were 3,942 more. Thousands of additional cases are expected in the coming weeks, experts are predicting. Whether the mounting number of infections will mirror the devastating season seen in Australia and elsewhere in the Southern Hemisphere, which has its flu season between June and October, no one can say. What remains indisputable: The number of hospitalizations is rising at medical centers all over Long Island as health care providers scramble to fight the flu. 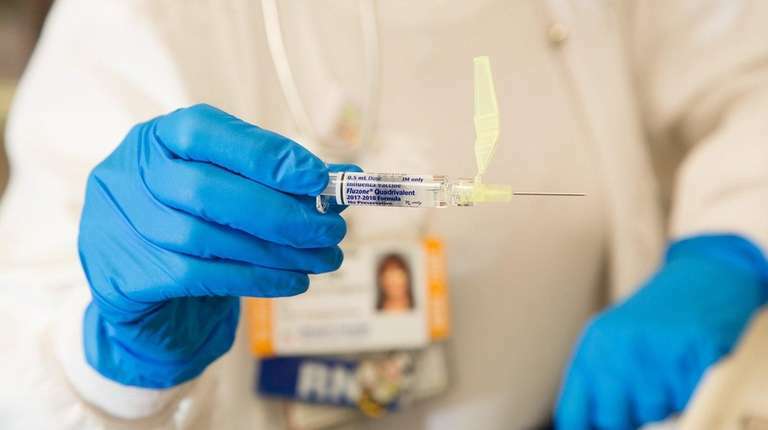 “We are definitely seeing more admissions because of the flu, but it’s a little early to give a verdict on the vaccine,” said Dr. Adhi Sharma, chief medical officer of South Nassau Communities Hospital in Oceanside. The vaccine was said to have had only 10 percent effectiveness in Australia, where a record number of people died last year because of influenza. Experts at the Centers for Disease Control and Prevention reported that the inoculation is proving to be much more potent in this country, although at about 32 percent effectiveness, still less so than other years. Health officials still urge people to get flu shots now, not only because it may prevent them from getting the virus, but because even if shots don’t stop the virus, the flu’s effects are milder. Still, there has been an uptick in hospital admissions statewide, which jumped 40 percent, from 870 during the last week of December to 1,258 by the end of the first week of January. Two deaths have been recorded, one adult and one child, state health officials reported last week. Doctors on Long Island are also coping with a rising tide of people filling hospital beds. “There has been a clear increase in hospital admissions here,” said Dr. Bettina Fries, chief of infectious diseases at Stony Brook University Hospital, who noted that people are largely being hospitalized because of co-infections: the flu along with other nasty respiratory viruses that circulate in winter. “Ninety percent of it is H3N2,” Fries said of the dominant A strain of the flu. Patients with complicated cases of influenza can develop secondary bacterial infections that cause pneumonia, Fries said. 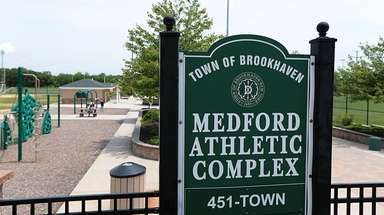 And just as she and her colleagues at Stony Brook are seeing an increase in H3N2 cases of the flu, experts elsewhere on Long Island report a rise in the number of infections attributed to that strain. “We have identified H3N2 . . . and the H1N1 subtype as well,” said Dr. Gary Leonardi, director of the virology laboratory at Nassau University Medical Center in East Meadow, who described a second A strain of influenza that is less prevalent. A third, known as the B strain, has been occurring in very low numbers, he said. The H and N designations are initials for two proteins — hemagglutinin and neuraminidase — both of which stipple the surface of a flu virus. H is responsible for binding the virus to cells in the upper respiratory tract. N allows the pathogens to break free from infected cells and move into unaffected cells during the infection cycle. Leonardi said H3N2 has been identified in people of all ages who have been admitted to NUMC because of the flu. Patients of all ages with flu-like illnesses also have been admitted to the acute care hospitals of Northwell Health’s 22-institution system, said Donna Armellino, vice president for infection prevention. “Flu activity has definitely increased,” Armellino said. “We are seeing more patients present with influenza-like illness. Armellino said she strongly recommends the vaccine for those who have not yet gotten it. She also recommends hand-washing and keeping your distance — at least 3 feet away — from people during conversations to prevent the flu’s spread. 11,280 state laboratory-confirmed cases this season, which began in October.